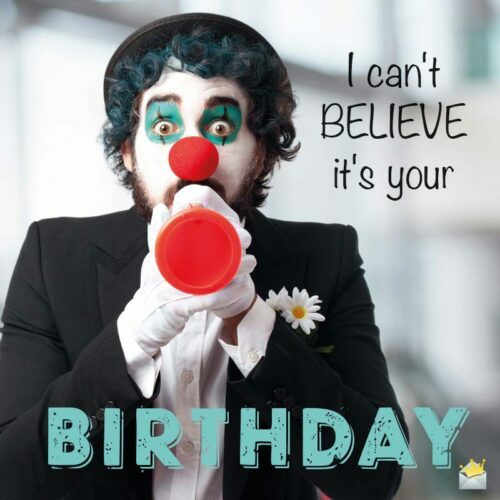 A good birthday one-liner is concise and funny enough to make the birthday celebrant laugh heartily. That’s just the kind we have prepared for you on this page. As we celebrate you today, let’s remember to also thank your parents for not using a condom on the day you were conceived. Happy birthday, buddy. I love your mother for not aborting you. In certain remote places in the world, you’d either be crucified or revered as a god for becoming this old. Happy birthday! The way you are going, I have no doubt in my mind that you will live as long as the Rolling Stones’ career. Old age is the number one fear on planet earth. Death is number two. Happy birthday to a wonderful friend who is so old his birth certificate has expired. Another year older, another reason to be happy that your chances of dying young have been drastically reduced. How do you expect me to remember your age when you keep changing it more than you change channels on the TV? Being your friend makes me so happy because I’m guaranteed of at least a free cake every year. 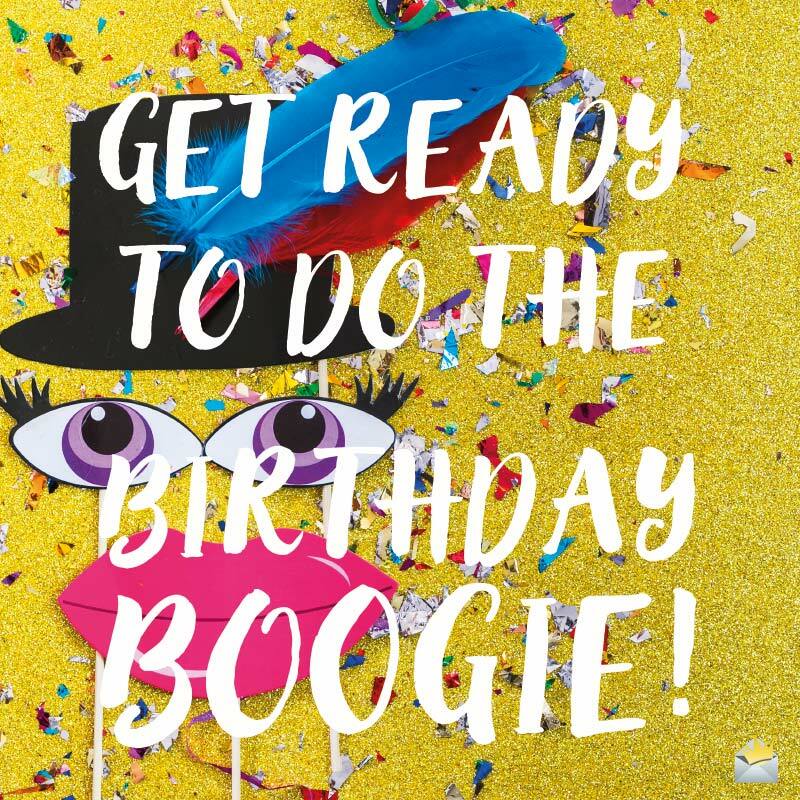 Get ready to do the Birthday Boogie! May your life be as long and graceful as Gandalf’s beard. I used to keep just a single fire extinguisher near your birthday cake, but now I keep a dozen extinguishers near it. Happy birthday. Dang! You’ve eventually reached the age where it becomes necessary to conceal your age like a murder weapon. OMG! You’ve finally been inducted into the Old Farts Hall of Fame. If old age were a competition, you’d win easily because you are good at it. Don’t be sad that you have become older today, for old age is God’s way of telling you He loves you. If God blessed people according to their age, you, my dear brother, would be one heck of a blessed guy! No doubt about it – you’re old! Happy birthday! Dearest sis, today being your Big Day, I pray God will give you a VIP treatment. You have no idea how blessed you are to be my sister. May God keep pouring such wonderful blessings on you. I can’t believe it’s your Birthday. Your real age is precious to me. And I am passionate about shielding it from the outside world. It appears your youth is beginning to abandon you. What did you do to it? Old age. The cross we all have to bear. If you want a great place to hide your real age, the best place is on page 2 of Google since nobody ever bothers to look there. Before you start blaming God for making you old, take a moment to count the numerous blessings He has bestowed on you. Happy birthday! Now I am completely certain that you, my sweet mother, are a descendant of the great Methuselah. Sweet Mom, the older and wrinklier you get, the more I love you. May every brand new wrinkle on your face bring with it enormous blessings in your life. Don’t try counting the candles on your cake, for they are countless. Mom, celebrate this great occasion of your life with the knowledge that I can’t live without you just like mankind can’t live without Facebook. God uses our birthdays to enrich candle companies. And in your case, fire extinguisher manufacturers as well. Mother, I’m 100% certain that you’d be richer than Oprah Winfrey had God increased your wealth in the same manner He is increasing your age. Dad, now is the ripe time to start changing your age. I mean it. Dearest Dad, can you please find it in yourself to drastically bring down the rate at which you age! I love you. I look at you in great admiration – as though you were the one and only Superman. Happy birthday, Dad. Don’t let getting old bring you down; look at the brighter side of life. You still have some hair on your head. Happy birthday. I love you more than Shaggy and Scooby-Doo love food. I know at this point, you miss your youth more than Bruce Willis misses his hair, but take solace in the fact that you are still the father of the world’s most awesome son/daughter – me! You might have become an old fart, but you are still my beloved father. Happy birthday! Happy is he who is bold enough to lie to the world about his actual age. Happy birthday! Your age might be growing like a wild fire, but you are still the coolest dad on earth. Babe, you mean more to me than my paycheck. And this is coming from someone who loves stacking paper. Happy birthday, sweetheart! I will love you until the day God gets tired of holding the whole world in His hands and drops it. Your birthday is the best time to tell you my love for you will never go on holidays because you do for me what even a billion dollars can’t do. Every single person in this world is born with an incurable addiction. Sweetheart, mine is you. Happy birthday. Babe, on your birthday, it’s important you know that my love for you is bigger than Kim Kardashian’s famous bootylicious behind. Today, I pray that God will let nobody kiss your lips unless that person is me. Happy birthday. Celebrate this special day, knowing that I love you as much as Americans love flying the American flag everywhere. Happy birthday! Now is the perfect time to bury your birth certificate and start lying about how old you really are. As you officially become an old woman/man today, you will encounter a lot of challenges, but I know you will surmount them with ease because you are one of the strongest persons I know. Happy birthday. We might no longer be an item, but your real age is still safe with me. Happy birthday. As you stare at your birthday cake, I hope you are able to resist the temptation of counting the candles illuminating it. Since I still love you and care about you, today, I pray that your blessings will multiply like the candles on your cake. On your birthday, I deem it necessary to let you know that I miss you as much as the Obamas miss living in the White House. Reading a history book starts to feel like an autobiography. You’re flicking through every channel on the TV looking for the latest episode of the Cosby Show. You start referring to Hilary Clinton as ‘that young woman’. You’re trying to calculate your income tax return using an abacus. Your grandchildren are now starting to grow gray hairs. Your mother signs your birthday card in cuneiform. Someone asks you how old you are on your birthday, and you can’t remember. During your birthday party people are lovingly comparing you to a dusty bottle of wine. One of your birthday gifts is a one-way ticket to heaven. Archivists have to debate whether your birth certificate is even authentic. You think livestreaming your birthday means you’re going on a surprise fishing trip. During your birthday party people can’t tell if you’re raising your glass for a toast or calling for a nurse. You think the X-Men are a group of transgender superheroes. You’re looking for the latest version of Call of Duty for your Sega Master System. An extra tier has to be added to your birthday cake just to hold the candles. Your friends have to rob a wax museum just to get enough for your birthday candles. They run out of types of metals to commemorate your birthday. Your birthday party is attended by veterans of the World War. You think your network refers to your fishing skills. A web site is what you call the corner of your attic. You consider a coffeemaker a robot. 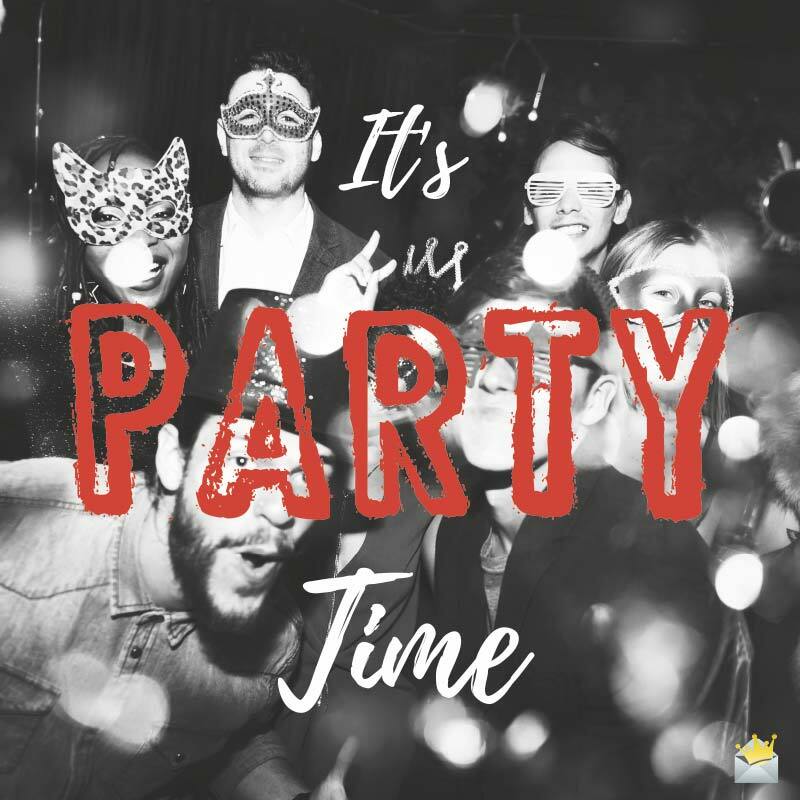 Q: How do you know when planning a birthday party is easy? A: When it’s a piece of cake. Q: Why didn’t the hen attend the rooster’s birthday party? A: She was too chicken. Q: Why do golfers prefer a birthday donut over a birthday cake? A: Because there is a hole in one. Q: What did the grape say to the guests at his birthday party? A: Eat, drink and be berry. Q: Why did Mike Tyson storm out of the birthday party angry? A: They were out of punch. Q: What did 50 Cent say after his pants fell off during his last birthday party? Q: What do you call a person who shows up to a birthday party in a vampire costume? Q: Why did Beyonce cry when Jay-Z’s birthday cake fell on the floor? Q: What do you call a bad comedian who only tells one joke during a birthday party? Q: Why did the birthday cake go to the party feeling inadequate? A: He didn’t have the right ingredients. Q: Why did Snow White want the dwarf to really enjoy his birthday party? A: Because life is short. Q: Why didn’t Captain Ahab and his crew show up to the birthday party? A: Because Moby was being a d*ck. Q: What do you call an extremely boring birthday party in North Korea? Q: Why did the squirrel get sacked from the birthday party? A: He was acting nuts. Q: How would you describe a birthday party filled with a bunch of clowns? Q: Why was the shipping vessel so excited to come home? A: Because it was his berth-day. Q: Why did the musician get all torn up during his birthday party? A: Because he’s a rapper. Q: How do people who live around volcanoes celebrate their birthdays? A: With a birthday quake. Q: What do people in hell give each other for their birthdays? Q: What do you call an international birthday party held for a spider? A: The world wide web. May all of your dreams come true for your birthday… well, at least the legal ones. Happy birthday, and may this year be so successful that the IRS freezes your bank account. I wish you a birthday full of so many tears of joy that the people who hate you can’t help but to shed tears of sorrow! Each birthday, you look more handsome than the last. In fact at this rate, in about 100 years you’re going to be a movie star. As some people age, their looks become more defined, while others like yourself become more summarized. Living to see another birthday is fate’s way of telling you that even being devoid of looks, personality or intelligence, there is still plenty to live for! May you consume so much of this delicious, love-filled birthday cake that your mouth becomes too preoccupied to speak the entire day. The good news is that from the looks of things you can live to be 100 years old, yet never develop a wrinkle. The bad news is that you’re secretly a robot sent back from the future to make my life miserable. Happy birthday, sis, and may life bless you with so many children that your household witnesses the joy of a birthday party all 52 weeks of the year! I know that the years are being kind to you, for as you get older, you look more and more like me, your big brother. I wish for a birthday so sweet that tomorrow you’d be compelled to visit a dentist! May the joy of your birthday be measured by the strength of your hangover the following day! A sign that your friends really love you is their forcing themselves to smile while painfully tearing into the birthday cake you prepared yourself. This year, for your birthday, we’re going to have the senior citizens’ home rockin’!